Odors. They are everywhere. 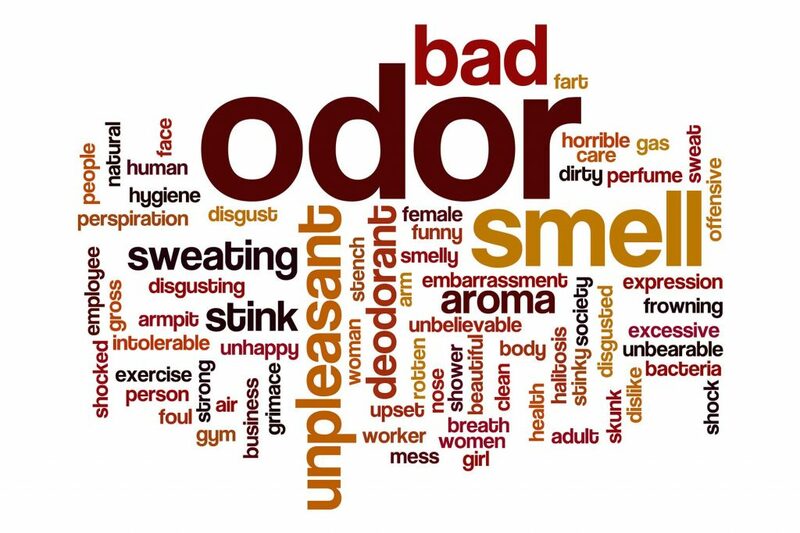 When pleasant, we might call them “scents.” When not-so-pleasant, we might call them malodors. pleasant, welcoming, such as from a fresh-cut batch of flowers or a nice, home-cooked meal. Others are not pleasant, “malodorous,” such as from an unattended cat litter box or rotting garbage left too long in a trash bin. And when something is malodorous, you must do something about it. Sometimes, the urge is to just cover it up. That can be a very bad idea as odors just keep getting worse and worse and you eventually have a difficult situation to deal with. You want your home to be neat, clean, and odor-free, except for odors (scents) that you introduce because they are pleasant and welcoming, such as air fresheners, perfumes, scented candles, etc. A rule of thumb is this: When it is clean and dry, there should be no odors. Your carpet, furniture and other absorbent materials in your home, over time, become soiled and often collect odors. Normal “dusty” odors are part of life between cleaning, and routine chores keep them manageable. Yet odors from urine, feces, body perspiration, and other sources are offensive and must be removed. There are three principles to follow when it comes to keeping your home clean and odor-free. When something is deposited, spilled, or has come into contact with a surface, the first step is to remove contamination. This means scraping, rinsing or otherwise removing any odor-causing sources. The sooner you do this, the easier the job will be. An example would be blotting and removing a fresh pet “accident”, as odors will quickly become worse over time. Once the source is removed, there is still some contamination on the surface. A thorough cleaning is important to remove any residual matter that can cause odors. Using hot water is best, if the surface can handle higher temperatures. Some furniture fabrics are heat sensitive, for example. Now it’s time to use odor-removing products, such as an approved deodorizer and/or disinfectant. This should be the final step in odor removal. Follow manufacturer directions exactly, as using too little or too much product can be counter-productive. Get news about our latest specials and offers.